6 days/5 nights - 2 weeks: 15,000THB per week (approx. $500/£380/670AUD). Sunday: You will meet at our meeting point and leave Chiang Mai at 9am to begin the journey to the village, stopping off for lunch on the way. After arrival, you will be introduced to your homestay, taken on a village tour and given introductory talks. Monday-Thursday: Here you will be working on the project, breakfast is served at 7:30am, hikes to the elephants begin at 8am and distance will vary depending on were the elephants choose to roam. 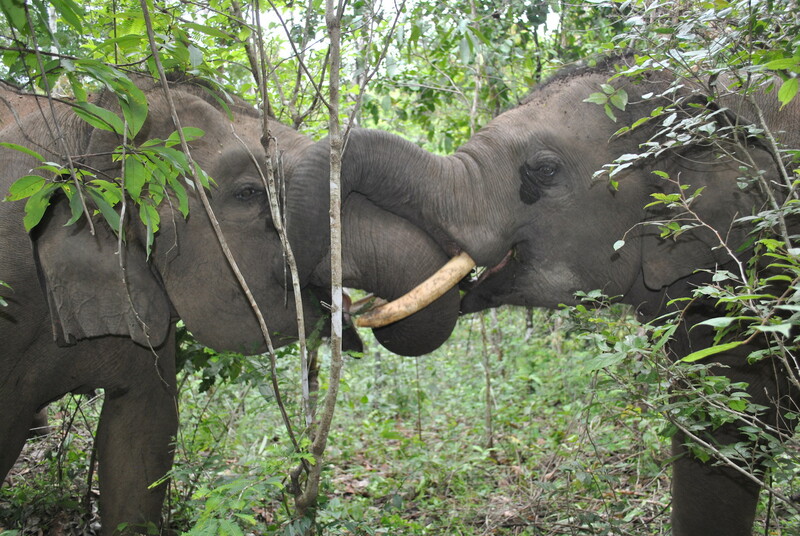 The morning will be spent watching our elephants and carrying out some much needed research on their natural behavior. Afternoons will be spent teaching English, completing project work or immersing yourself in hill-tribe culture. For volunteers wishing to stay longer than 1 week, weekends will be free to explore the surrounding area, relax in the village or take a trip to Chiang Mai. Once paid, all deposits and fees for all programs are non-refundable. Join Us For An Experience Of A Lifetime!! !